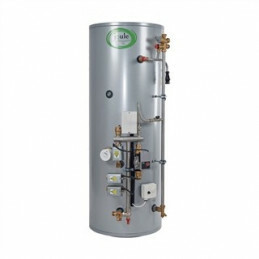 Joule Cyclone 300 Litre Smart Plumb Pre Plumbed Indirect Heat Only - 2 Zone Cylinder (TUMI-H0300-L3C) - Buy Joule Cylinders from the Intergas experts! Joule Cyclone 300 Litre Smart Plumb Pre Plumbed Indirect Heat Only - 1 Zone Cylinder (TUMI-H0300-L2C) - Buy Joule Cylinders from the Intergas experts! Joule Cyclone 250 Litre Smart Plumb Pre Plumbed Indirect Heat Only - 2 Zone Cylinder (TUMI-H0250-L3C) - Buy Joule Cylinders from the Intergas experts! Joule Cyclone 250 Litre Smart Plumb Pre Plumbed Indirect Heat Only - 1 Zone Cylinder (TUMI-H0250-L2C) - Buy Joule Cylinders from the Intergas experts! Joule Cyclone 200 Litre Smart Plumb Pre Plumbed Indirect Heat Only - 2 Zone Cylinder (TUMI-H0200-L3C) - Buy Joule Cylinders from the Intergas experts! Joule Cyclone 170 Litre Smart Plumb Pre-plumbed Indirect Heat Only - 2 Zone Cylinder (TUMI-H0170-L3C) - Buy Joule Cylinders from the Intergas experts! Joule Cyclone 300 Litre Smart Plumb Pre Plumbed Indirect System - 2 Zone Cylinder (TUMI-S0300-L3C) - Buy Joule Cylinders from the Intergas experts! Joule Cyclone 200 Litre Smart Plumb Pre Plumbed Indirect Heat Only - 1 Zone Cylinder (TUMI-H0200-L2C) - Buy Joule Cylinders from the Intergas experts! Joule Cyclone 150 Litre Smart Plumb Pre Plumbed Indirect Heat Only - 2 Zone Cylinder (TUMI-H0150-L3B) - Buy Joule Cylinders from the Intergas experts! Joule Cyclone 170 Litre Smart Plumb Pre-plumbed Indirect Heat Only - 1 Zone Cylinder (TUMI-H0170-L2C) - Buy Joule Cylinders from the Intergas experts! Joule Cyclone 300 Litre Smart Plumb Pre Plumbed Indirect System - 1 Zone Cylinder (TUMI-S0300-L2C) - Buy Joule Cylinders from the Intergas experts! Joule Cyclone 250 Litre Smart Plumb Pre Plumbed Indirect System - 2 Zone Cylinder (TUMI-S0250-L3C) - Buy Joule Cylinders from the Intergas experts!